Studio 39b in Antigua Village is an ideal place to stay on the gorgeous Dickenson Bay, learn more and enquire about booking. 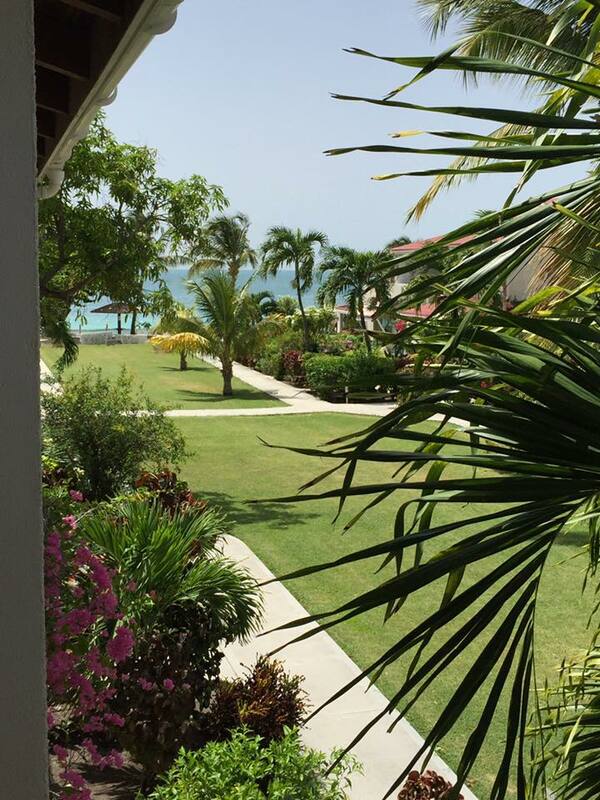 Few people can stay in such close proximity to one of the best beaches in Antigua Dickenson Bay. 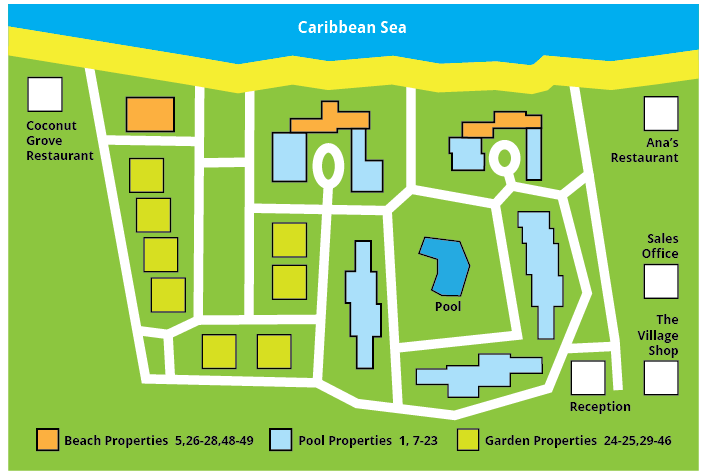 Antigua Village offers various villas and studios that represent some of the best value accomodations on the island. Sandwiched between Ana's and Coconut Grove you will have no shortage of island food and fun. Down the beach dine at the warri pier while watching the fish hunt in the water below. "Set in the quiet garden side of the Village, 39B is one of the most rented apartments in Antigua village, a few yards from the beach!!! Recently refurbished to a high standard, 39B has a new king size double bed, new bathroom and several new furniture items. Although the unit has split level A/C, and ceiling fan, the first floor corner position takes full advantage of the cooling trade winds meaning that this light and airy unit can be used without either. To further enhance the cool romantic Caribbean feel, there is a unique pastel painted high ceiling, with hand stencilling within, and on the large patio. 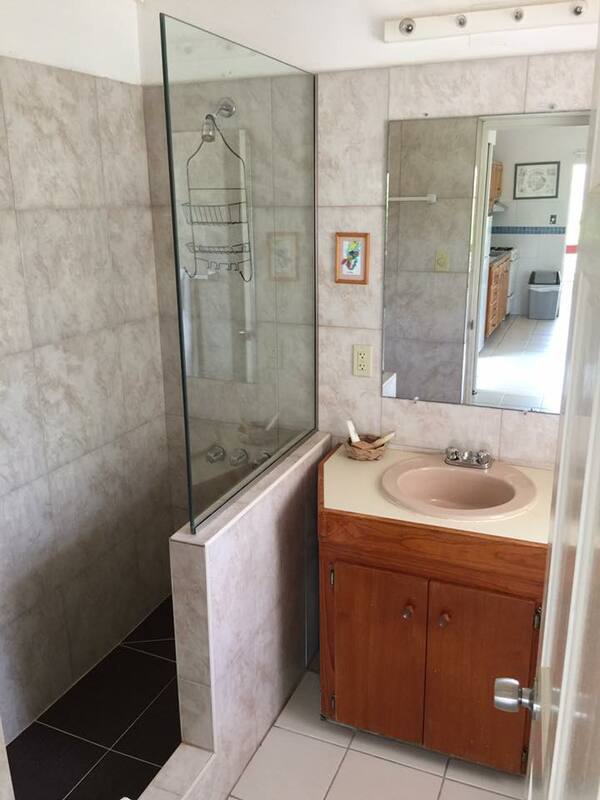 39B has all the regular features of what one expects in a quality property:- fully fitted and well equipped kitchen, flat screen T.V., with cable T.V., and free WiFi,"
Located on the beach Dickenson Bay is the 4 acre owners resort called Antigua Village. Allowing independent owners to provide a variety of accomodations to suit. Self catering facilities in all accomodations allow you to be free of the resort schedule and calories! Dickenson Bay has two resorts and a handful of interesting indpendent restaurants bars and accomodation spots like Antigua Village. Dickenson Bay is also located close enough to the airport and capital St Johns. It is also a popular place for expats and locals to come and enjoy that's how good it is. Nowhere else on the island is there such a touristic centre that at the same time retains its charm and quality.